Manchester United might not be in the perfect moment right now to think about the match against West Ham United, but their Champions League ride must wait for a while. The match against the Hammers is one they cannot mess, especially if this team want to play in Champions League next season as well. That is why the match against Barcelona should not be in anyone’s mind until Saturday night, after this one ends. Manuel Pellegrini is leading this team and as a former Man City manager, he will be very happy to make the top four race even harder for the Devils. West Ham are currently in poor form. There is no denying that. Man United could be playing them at a perfect time, as the Hammers do not seem very confident in themselves when playing against teams in top six. 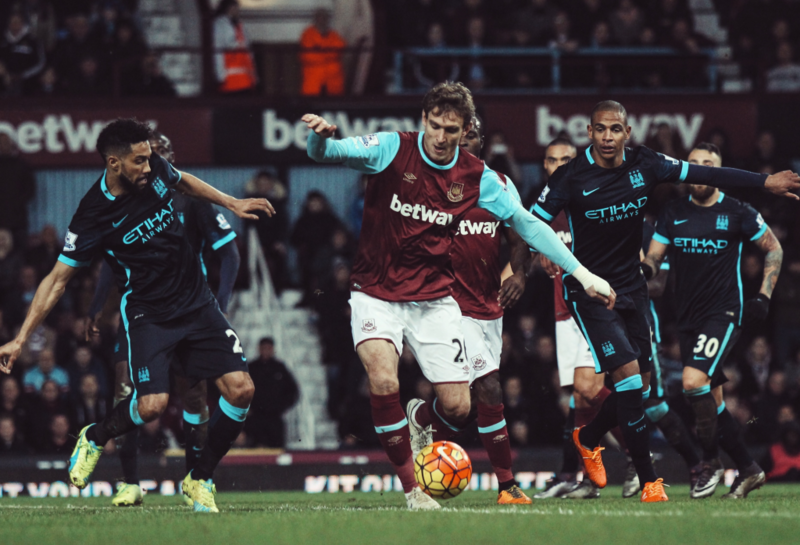 It was completely the opposite the last time these two sides met, as West Ham won comfortably in London. It was 3-1 against Mourinho’s United, when Mark Noble enjoyed one of his best matches. But this time they come to Manchester after consecutive losses, while in the last four matches they have three losses without scoring and a hard-fought 4-3 win against the terrible Huddersfield. This run of losses even consists of a 2-0 defeat in Cardiff, which just proves how far from their best Hammers have been. One of the problems West Ham have this season is getting the most out of their attack. They scored 41 goals this term, with expected goals model predicting them to sit at around 39. Whilst that is slight overperformance, West Ham simply do not have a proper striker to bag in goals across the whole campaign. Their best goalscorer so far has been Felipe Anderson, with eight goals he scored across six matches. Javier Hernandez and Marko Arnautovic stand at seven goals each, while next is Michail Antonio with just four. That is not enough depth. Arnautovic is not the ideal lone striker, Hernandez has been very far from his best days and Felipe Anderson operates as an attacking midfielder. No wonder West Ham are often mentioned to be interested in signing strikers, which is now the case with Fulham’s Aleksandar Mitrovic. Even the Serbian had scored in double digits this season playing for a horrific team from Craven Cottage. On the other hand, West Ham’s defensive problems are being masked by several factors, one of them being Lukasz Fabianski. The Poland international is an underrated goalkeeper who has won points to this team with brilliant saves on more than few occasions. That is why it is no wonder West Ham have conceded “just” 50 goals, when their expected goals suggest they should be at around 58. Their expected goals against per shot is at 0.13, which is not good, especially considering they allow many shots. But those are good news for Man United. Ole Gunnar Solksjaer’s team must capitalize on that and prolong West Ham’s run of losses.